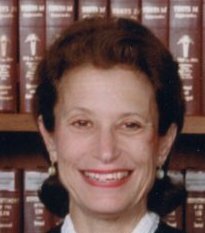 Judith Cowin was appointed to the SJC in 1999. Judith A. Cowin, the no-nonsense former prosecutor who became the third woman appointed to the Supreme Judicial Court, announced yesterday that she will retire in early April, giving Governor Deval Patrick another opportunity to put his stamp on the state’s highest court. Her retirement means that Patrick will soon be able to appoint his fourth justice to the seven-member court. He also recently elevated a veteran justice, Roderick L. Ireland, to chief justice, making Ireland the first African-American to lead the nation’s oldest appeals court. The Democratic governor will also probably have at least one more opportunity to appoint another member of the court. Ireland, 66, turns 70 — the mandatory retirement age for judges — in December 2014. That will open a seat on the court and also necessitate the appointment of a new chief. By the end of his second term, Patrick probably will have appointed five of the court’s seven members and two chief justices. In contrast, Patrick’s Republican predecessor, Mitt Romney, never saw a vacancy on the court. Cowin, 68, served on the court for 11 years and previously worked as a trial judge in the superior court for almost eight years. She will not reach the mandatory retirement age until April 2012 but informed the governor yesterday that she intends to step down a year before that. Before she became a judge, Cowin spent about 13 years as a Norfolk County prosecutor, often handling criminal cases with violent offenders. As a member of the SJC, she frequently seemed sympathetic to law enforcement officials. In December, she was one of two justices to dissent from a ruling that a Revere police officer had no legal right to enter a motel room and seize a handgun and marijuana even though a woman in the room had let the officer in. Ireland, who wrote the decision for the majority, said it was unreasonable for the officer to believe that the unidentified woman who answered the door in August 2005 at the Ocean Lodge had the authority to let him enter without a warrant. In a dissent she wrote, Cowin said the officer “had no reason to doubt the woman’s authority to admit him’’ and found that the officer acted reasonably. She was also one of three dissenters in an influential 2004 ruling that judges should instruct juries in criminal trials to be skeptical when police fail to tape-record confessions or statements made by defendants in custody. Last year Cowin wrote a unanimous ruling upholding the first-degree murder conviction of Calvin Carnes Jr., who fatally shot four men in the basement of a Dorchester home because he wanted the handgun of one of the victims. She rejected Carnes’s argument that the trial judge mishandled jury deliberations and should have declared a mistrial after jurors repeatedly reported being deadlocked on a verdict. “Reversal for abuse of discretion in these circumstances is rare,’’ she wrote. Carnes’s appellate lawyer, Ellen J. Zucker of Boston, said she disagreed with Cowin in that and other cases Zucker has argued. But Zucker said she respected Cowin’s rigorous questions and viewpoints. “She has a tough-minded, fairly no-nonsense approach, but that does not mean it’s an approach that lacks nuance or rigor,’’ Zucker said. Like many members of the SJC, Cowin defied easy categorization. Although she often took positions that pleased conservatives, she voted with the 4-3 majority in the landmark 2003 ruling that gays and lesbians have the right to marry under the state constitution. Cowin was appointed to the high court by Governor Paul Cellucci in 1999. Her nomination drew criticism from Cardinal Bernard F. Law, then head of the Boston Archdiocese, who said Cowin had opened herself to “the serious charge of anti-Catholicism’’ because of a ruling she made as a superior court judge in a 1997 lawsuit against church-affiliated Carney Hospital. During her confirmation hearing before the Governor’s Council, Cowin said she did not harbor bias against any group but could have worded her decision “more artfully’’ to avoid offending Catholics. Cowin, a graduate of Wellesley College and Harvard Law School, is married to retired Appeals Court Justice William I. Cowin.